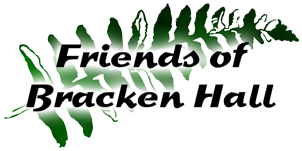 Bracken Hall Countryside Centre, in conjunction with Baildon Town Council, has released it's Schools Education Programme document. The text below is extracted from the covering letter supplied with the CPD document. The latest version Package document (.pdf file) can be downloaded by clicking here. Use the navigation buttons on the left to see additional details about our Primary Provider Partners. This CPD & Activity Package is offered as an initial step towards assisting and giving delegates the confidence to incorporate outdoor learning into their teaching and curriculum planning or to give staff the confidence to support pupils in a range of outdoor activities and environments. It does not aim to train you as outdoor specialists, but to provide you with some understanding of the benefits, processes and skills related to learning in the outdoors and give you the tools with which to teach across the curriculum in an outdoor context.